Call 618-560-5288 to schedule your first appointment. Whether you've been having trouble with hearing for years or you just noticed the beginning stages of hearing loss, consider getting hearing aids in Carterville, IL, from Miracle-Ear®. Our location is proud to provide quality hearing solutions for individuals who want to improve their lives. We have experienced Hearing Care Specialists who will work closely with you to find just the right product. At Miracle-Ear, our hearing aids with GENIUS™ Technology have been able to help countless individuals with their hearing issues. The augmentations used in these hearing aids are designed to make your listening experience as comfortable and intuitive as possible. With our hearing solutions, you'll be able to hear conversations and other sounds in a wide range of challenging acoustic environments. Whenever you need to make adjustments, you can do so easily with our smartphone application. You'll also be able to connect to your favorite Bluetooth® devices as well. Once you find a hearing solution you love, you'll be able to visit any one of our more than 1300 locations throughout the country for a free checkup. There's a reason that Miracle-Ear is America’s most recognized brand of hearing aids. 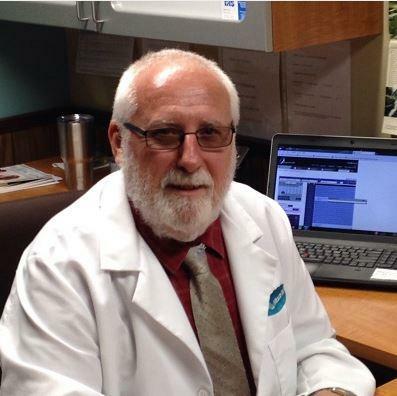 Terry started with Miracle-Ear as a Hearing Instrument Specialist in 2013. Terry has over 20 years experience as a hearing aid specialist. Terry's favorite part of working at Miracle-Ear is helping people hear better.